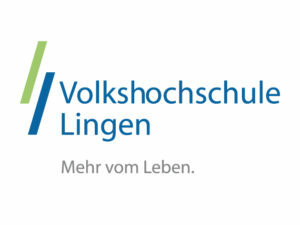 The Volkshochschule Lingen GmbH is a non-profit, non-governmental organization set in the rural area of the southern part of the district Emsland. It was founded in 1946 and is one of the largest adult education providers in this area. Since then, we have been committed to offering educational opportunities to adults of all backgrounds, on topics such as Local History and Geography, Politics, Economy, Pedagogy, Literacy and Numeracy, Foreign Languages at various levels, German as a second language (especially for immigrants), preparatory classes for school exams (second-chance education), vocational education, training courses leading to qualification (in-house or external), Information Technology, various Arts courses, Health, and Culture. Tailor-made training courses are offered for regional companies and other institutions to suit their specific business needs. These courses include the whole educational range of courses offered at the VHS Lingen. Each semester the VHS Lingen offers about 800 courses. There are 21 permanent employees and about 300 freelancing teachers and tutors teaching about 7,000 learners. With our manifold course offer for adults of all backgrounds and age groups, we work against social exclusion, ageism, for equal chances, promote European opportunities and thus strongly contribute to the European idea of lifelong learning. A great importance is attached to the close collaboration with other adult education centres and local, national and international institutions in order to increase know-how, exchange work experiences and build new contacts with other organisations interested in the same topics: the VHS Lingen is a cooperation partner in the BELOS network of more than 30 educational institution working together in several projects in the field of general, political, cultural, vocational further education. Their aim is to increase educational participation of all people. 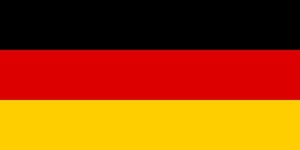 The VHS Lingen is a member of the regional education network REBIN consisting of 4 adult education centres (VHS) in the district Emsland and Grafschaft Bentheim. Together we have developed a forward-looking and practical-oriented further education programme. Since September 2015 the VHS Lingen have been a Europe Direct Information Centre (EDIC) and thus belong to a network of 57 EDICs in Germany and more than 500 EDICs throughout Europe. We will be able to spread any project results through this Europe-wide network. Furthermore, we will utilize our wide range of local and regional stakeholders such as the Volunteering Centre in Lingen, the SKM Lingen, the major social service organisation in Lingen that work with immigrants and people at the edge of society, the Adult Education Association in Lower Saxony as well as the Agency for Adult and Further Education in Lower Saxony (AEWB).